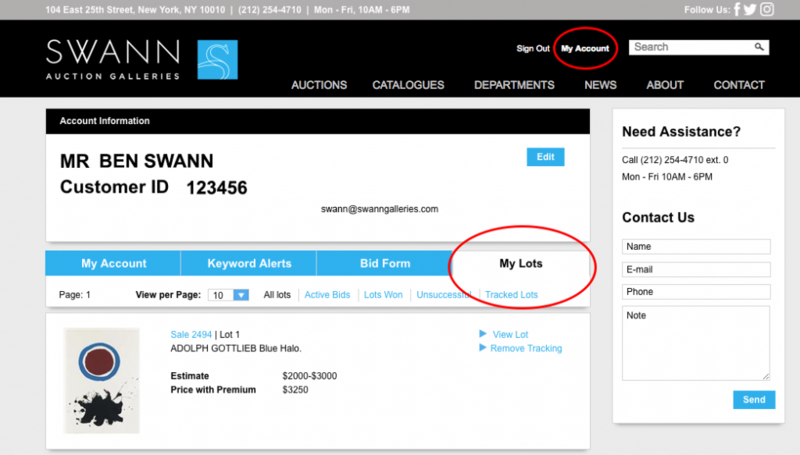 A Swann Client Account enables you to Track Lots, create Keyword Alerts and place order bids. Use this guide to get the most out of these features. Don’t have a Client Account yet? Register and Sign In via the top navigation on our website. If you’ve bought or sold with us in the past, we’ll match your online Client Account to your preexisting client id number. This tool allows you to leave order bids before an auction. You can access this tool within My Account, or on any lot view page in our catalogues (see below). There is no deadline for Client Account order bids. However, we recommend that you leave these bids well in advance of the auction date. Bids placed day-of are at risk of being overlooked, and bidding via our online catalogues closes shortly before the auction. In a pinch? 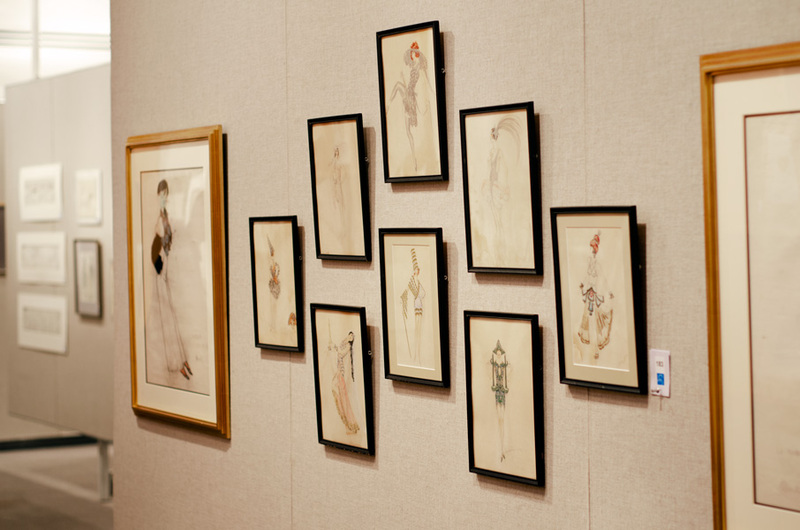 Sign up for live online bidding with our app, or call us at (212) 254-4710. Leave a Bid on a lot view page. Once your bid has been reviewed and confirmed in our system, you will receive a bid confirmation via email. You can keep track of active bids in the My Lots section of your Client Account homepage, along with any tracked lots. Important to know! Order bids placed over the phone, via email, or through our app will not appear in your Client Account. Keep track of the bids you’ve placed in My Lots. There are many ways to bid at Swann, discover what works for you: other options include bidding in person, over the phone, through our app or on Invaluable. 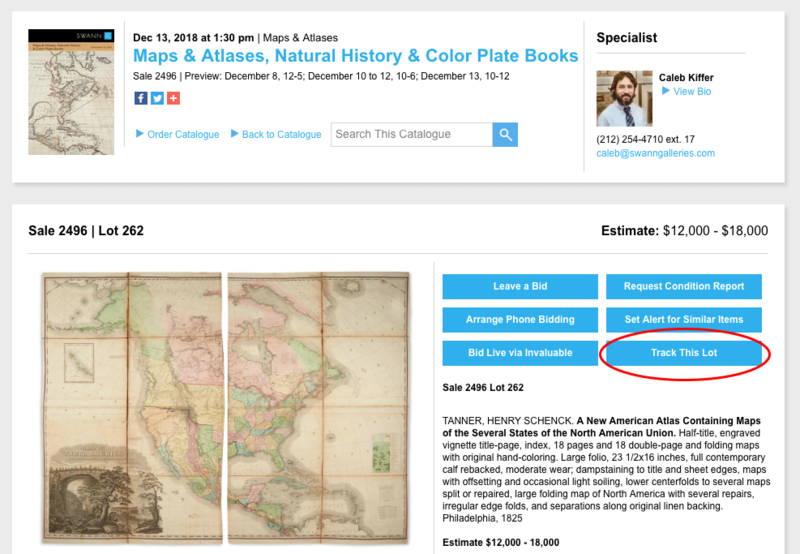 Signing up for keyword alerts is one of the best ways to know when specific material that you collect is coming to auction. How it works: Our database will search our catalogue entries for your keyword(s). You will receive an email alert shortly after a catalogue is published with a link to any lots that match your keywords. Spelling is important! The keywords will be compared directly to our catalogue database. If you spell an artist name incorrectly, you won’t get the results you want. Keyword alerts are not ideal for general categories, like “Photography” or “Posters” – your results will be unspecific and the email alerts will likely be too frequent. If you want broad overview notifications like that, we suggest signing up for Auction Updates. Must have all words – If you enter the keywords Norman and Lewis and select Must have all words, your results will only return lots that have the phrase “Norman Lewis” in its catalogue entry. Can have any word – If you enter the keywords Norman and Lewis and select Can have any word, you will get results for any catalogue entry containing either of those names (e.g., Norman Rockwell, Lewis Hine, Martin Lewis). Before and after auctions you can keep tabs on material of interest via our lot tracking tool. Click the button that says “Track This Lot” on any lot information page in one of our catalogues. Example lot information page in one of our website catalogues. The lots that you choose to “track” will be bookmarked under My Lots, a tab located within My Account, or your Client Account homepage. Order bids placed through our web catalogue Bid Form will also get bookmarked under My Lots. Check our auction schedule. Published catalogues will always be linked there.